WASHINGTON (Sinclair Broadcast Group) - Our hearts are with those affected by Hurricane Harvey. My thoughts and prayers go out to all impacted by the historic storm. My deepest condolences to those who have lost loved ones. These days have been dark and tremendously hard. There is a ray of hope, however, when we recognize all of the compassion and generosity that has been exhibited in response to the devastation. Brave first responders confronted mother nature head on as they faced her wrath in order to save lives. Our government has worked tirelessly to protect and help its citizens. I am awed by the way people and companies from coast to coast have extended a helping hand to our fellow Americans in Texas and Louisiana. 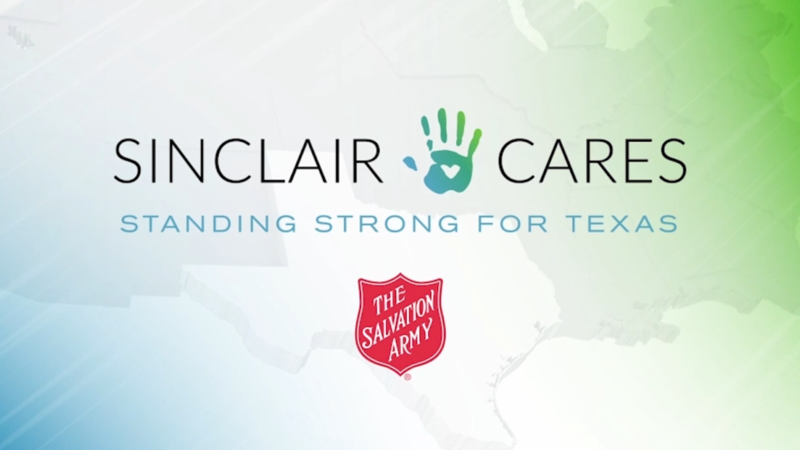 In fact, this station along with every other station that is part of the Sinclair Broadcast Group family across the country has teamed up with the Salvation Army for Sinclair’s “Standing Strong for Texas” relief efforts. Donations can be made at this station. This is what makes us the United States: our unity in times of struggle, in times of need. We are able to put aside whatever differences we may have, and show compassion, hope, love, trust and bravery. That is what makes us a great nation. When times get tough, we build each other up. The bottom line is: my sincerest wish is that victims of the storm are able to recover and begin to rebuild as soon as possible. And I hope that we, as a country, never forget that humanity is at its best when we are united.